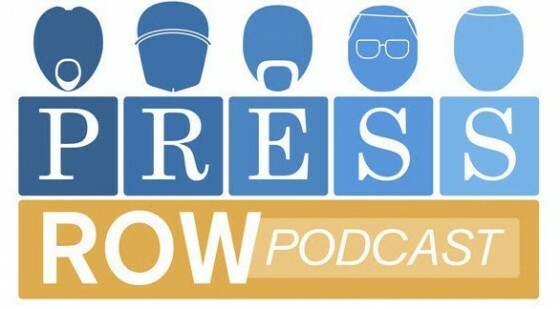 It’s Episode 11 of the Press Row Podcast. While we’re down one man, we’ve still got a great crew. There’s a big announcement about a special upcoming event, plenty of talk about the breaking WWE news, some more MLB 13 The Show talk, lots of listener feedback, some Super Bowl predictions, and plenty more. Here’s the gameplan! First Quarter – The crew discusses what they’ve been playing. Second Quarter – An in-depth conversation about the unfolding WWE events, thanks to the untimely demise of THQ. Third Quarter – Some more MLB 13 The Show preview talk. Fourth Quarter – The crew reviews (and revises?) their picks for the Press Row Podcast Child’s Play Charity NFL Playoff picks as well as some Super Bowl predictions. If you can't view or listen to the embedded player below, please click here. OS Podcast: What Release Cycle Will Work Best in the Future? Send us some comments, folks! I'm looking forward to the discussion of mobile games on the next episode. Hope New Star Soccer finds its way into that conversation! I love the podcast. I cant wait for the next episode. I was searching for a manager style game for my phone and all I can find are soccer games. I'm hoping someone makes a football or baseball manager game.